This is a tyre designed specifically for triathlon and time trials. A 220TPI (threads per inch) casing strikes a happy balance between compliance and resilience. 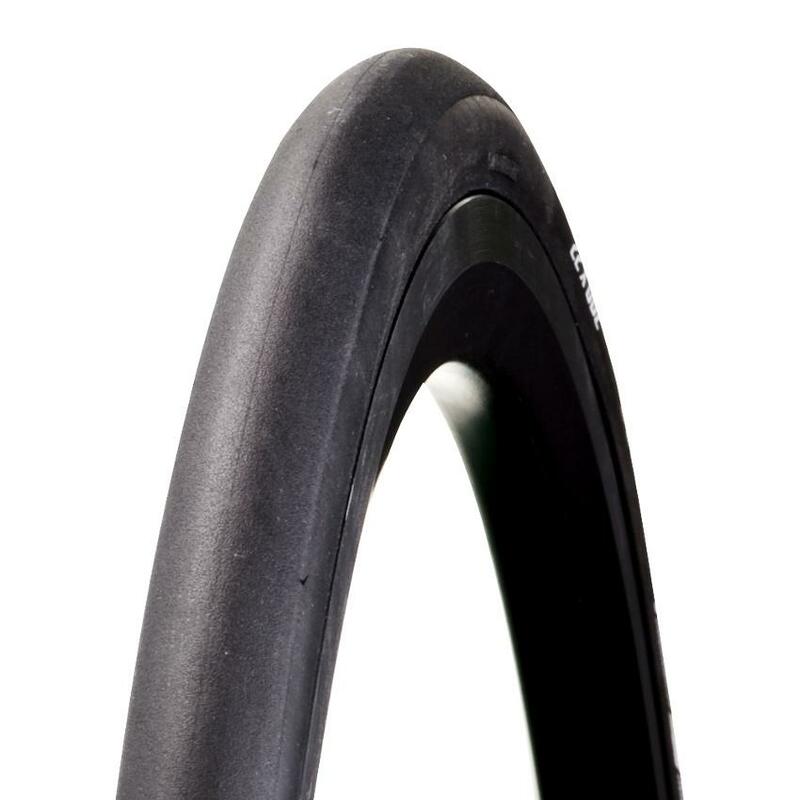 The aero profile to the cross section helps blend the tyre into the rim for maximum aerodynamic performance. Bontrager claim this is the "world's fastest tyre". Whilst we've not been able to test that ourselves, we can vouch for the fact that it cuts through the air brilliantly and is our "go to" choice for TT and Triathlon, when every aero advantage counts.